When Adult Swim picked up Dan Harmon and Justin Roiland’s animated series Rick And Morty in 2012, it was just one of many projects on Harmon’s plate after getting ousted from Community. His pilots at Fox and CBS didn’t progress, but the surreal cartoon made it to series with an initial 10-episode order; combined with his unprecedented return as showrunner for Community, things were certainly looking up. And though Community is still barely holding on with ratings high enough to keep it away from Sean Saves The World’s fate for now (but still low for any other network), Rick And Morty has emerged as a breakaway ratings success out of the gate. It’s a big hit for both Cartoon Network and in its time slot with males under 35, with the most recent episode outdrawing Archer in the same demo (1.5 to Archer's 1.4), and even besting some of NBC’s comedy lineup—including Community. It's also done well with all adult viewers under 50, topping both NBC's Sean Saves The World and The Michael J. Fox Show. 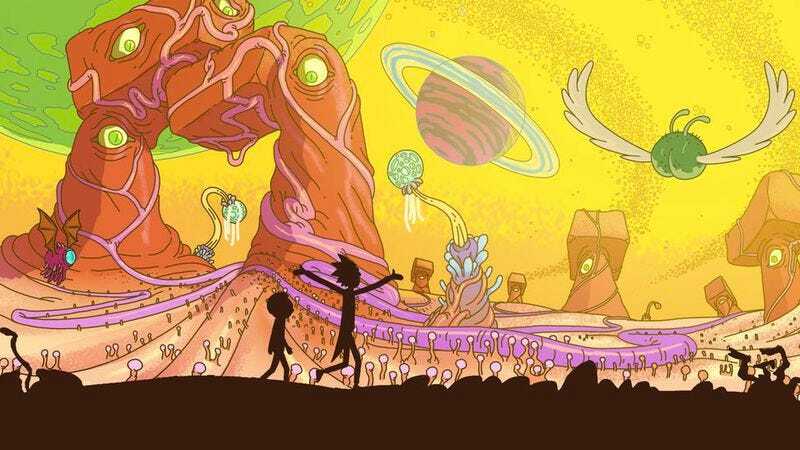 Four episodes into its first season, Rick And Morty is probably already assured a renewal with those numbers—something that hasn’t been a given for a Dan Harmon show for a long while.